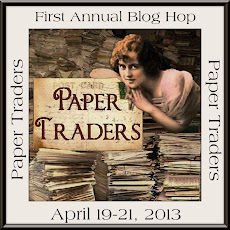 I have just signed up with paper traders up and coming Blog Hop. Just thinking about what to give away, I think I will give away some beads and maybe make something textile. Will have to get started ! will post more about this when I receive my blog hop badge.